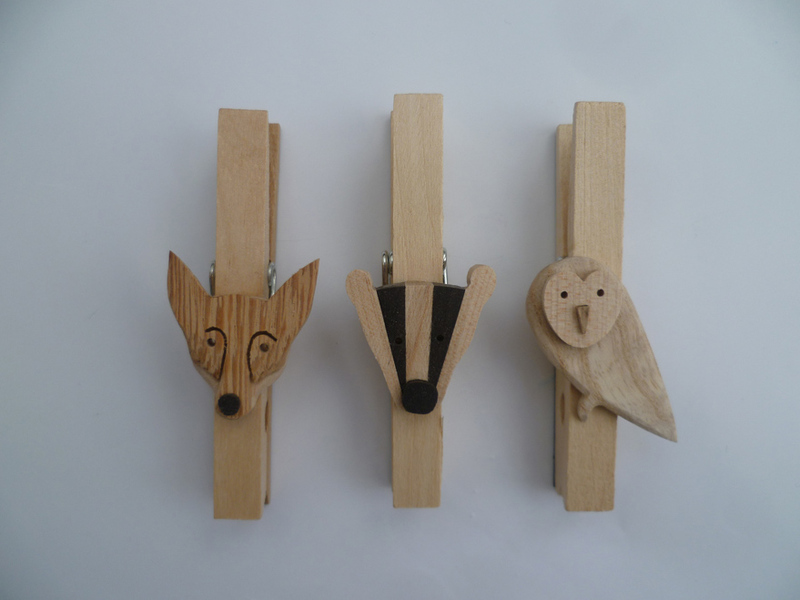 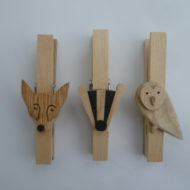 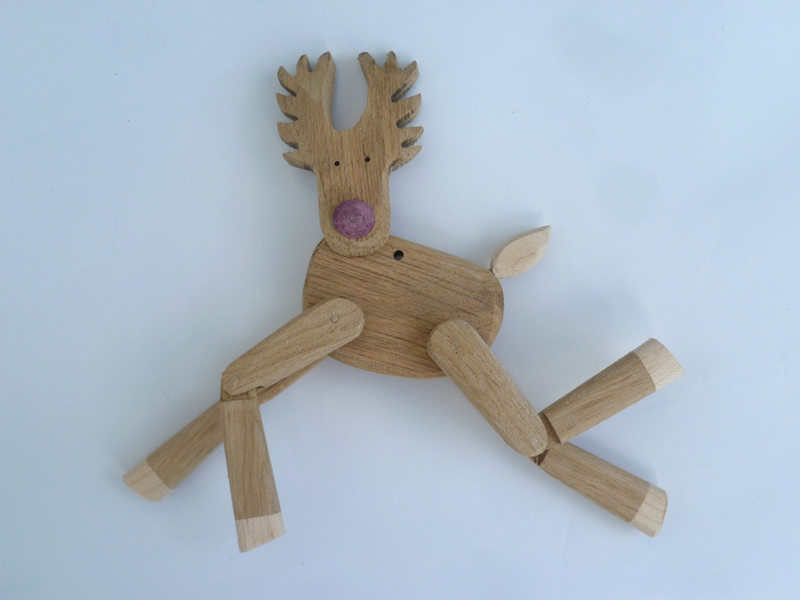 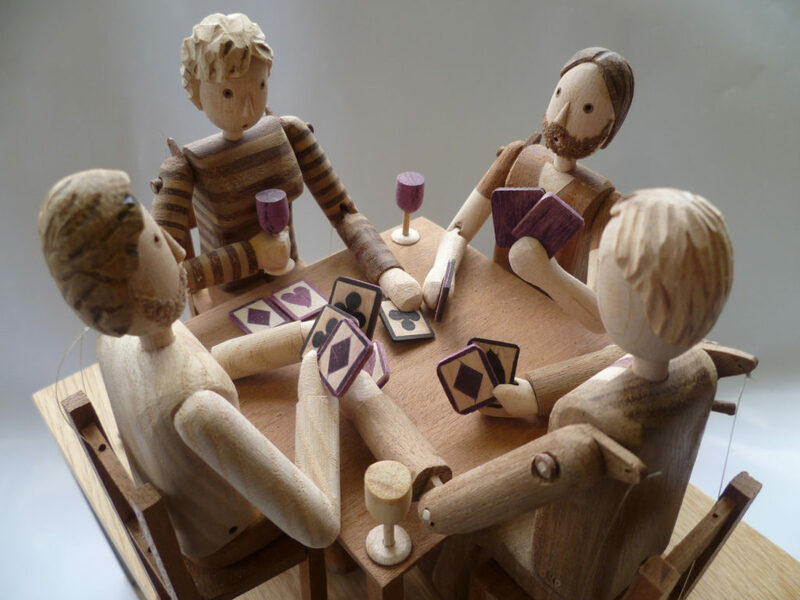 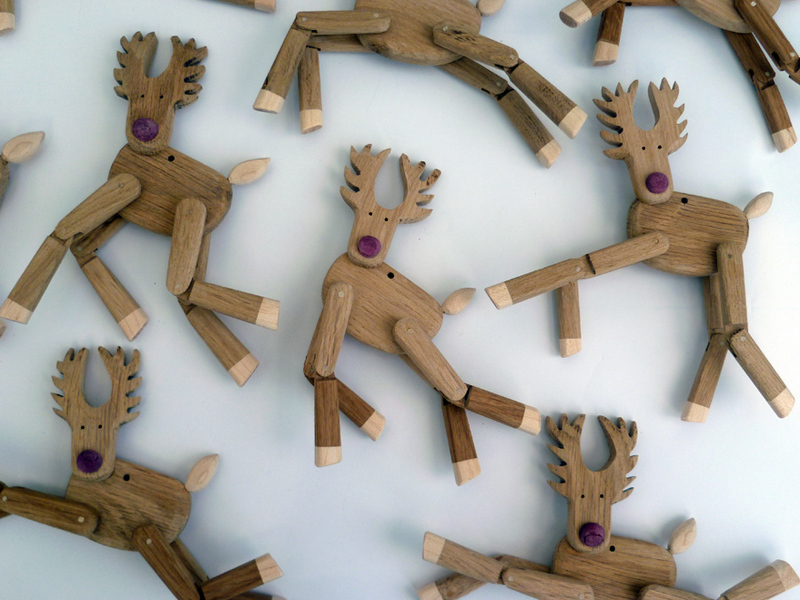 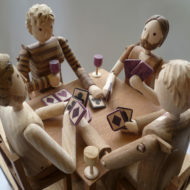 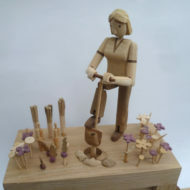 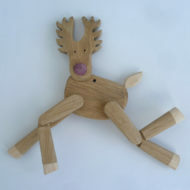 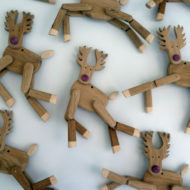 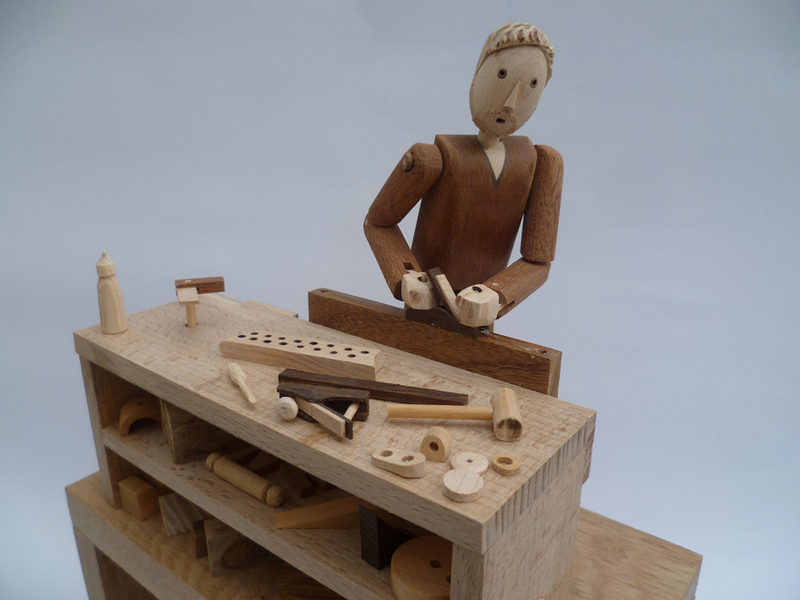 Wanda designs and makes wooden Automata and small toys. 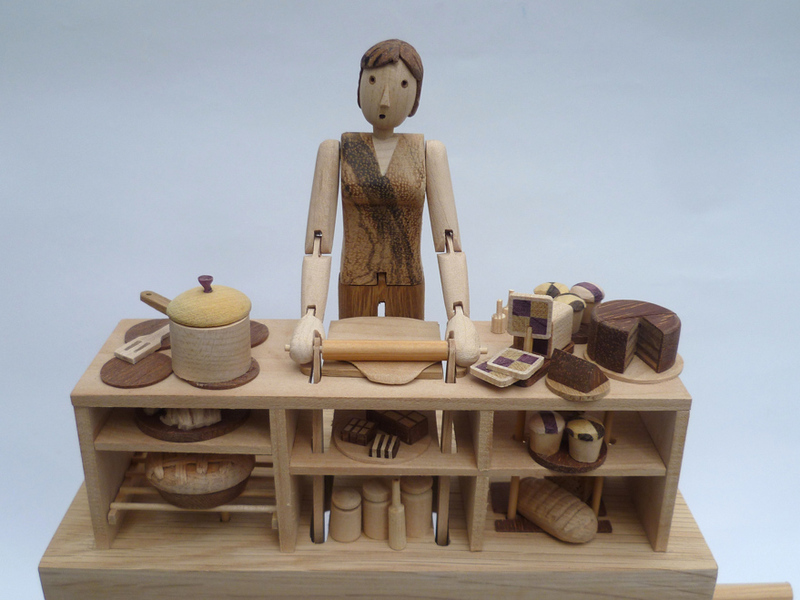 She doesn’t paint, stain or varnish the material, she just uses the natural colours of the wood. 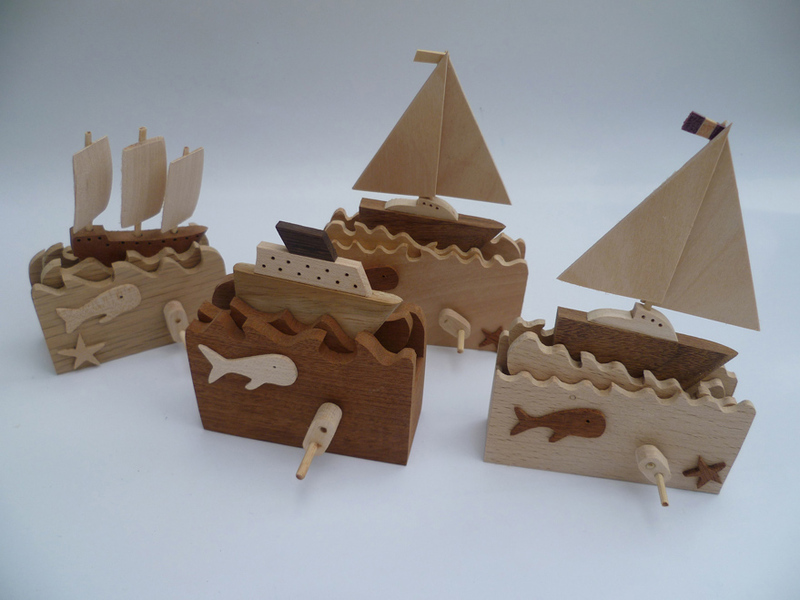 All the wood she uses is either reclaimed or colourful off cuts acquired from other wood workers. 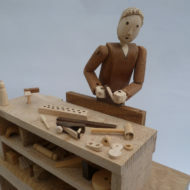 Most the shaping is done on a tatty (and noisy) mini belt sander, a small bandsaw, scroll saw, pillar drill and a Dremel. 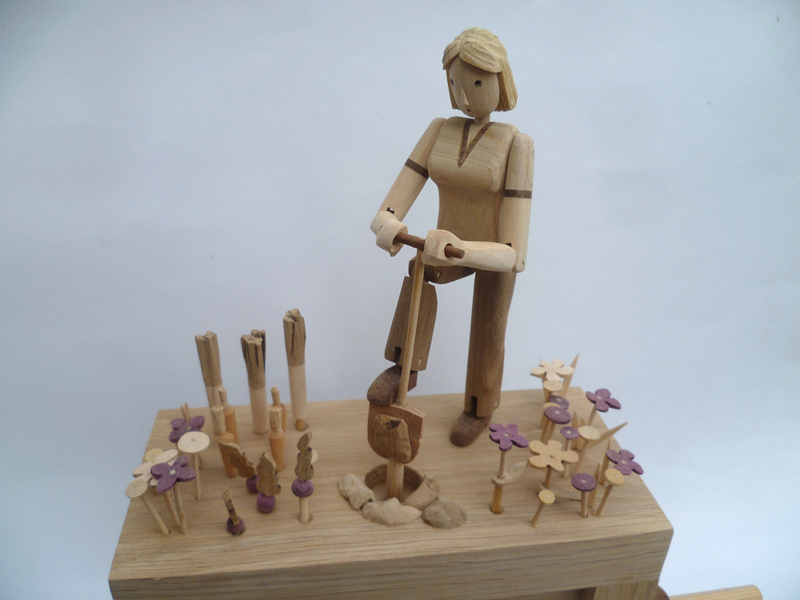 Wanda makes a mix of commissioned pieces for big birthdays and anniversaries and pieces for various galleries and exhibitions in the UK. 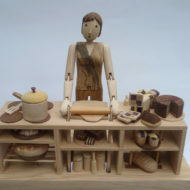 She often works to a brief, using photos of individuals, their kitchens, workshops, offices or own items to make the details personal. 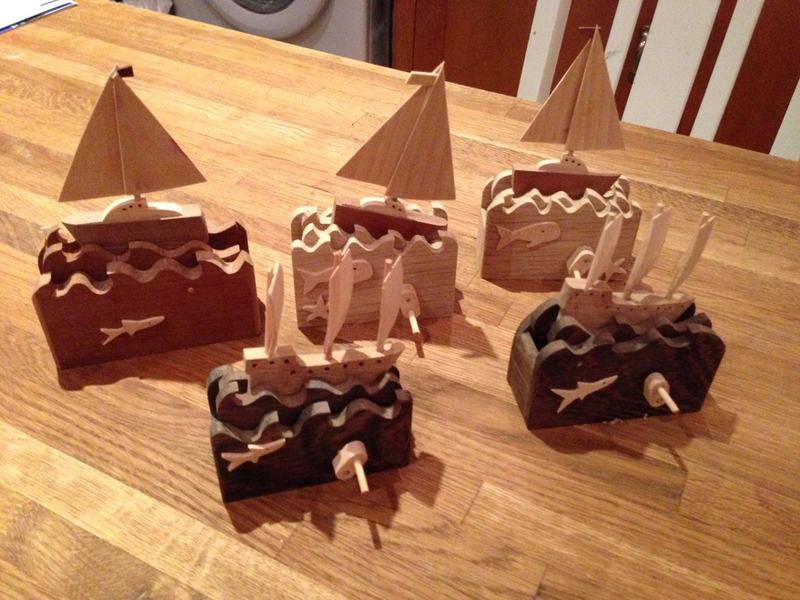 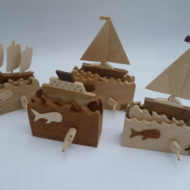 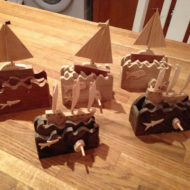 Recently she has made some lazer-cut make-your-own automata boat kits and plans to expand on her designs this year.